You want to sell your home. You or your agent comes in… takes some pictures… makes note of the home’s features… and then throws it on the multiple listing service. Heck! those photos may even be by a professional photographer showing your beautiful rooms and lush green and flowering exterior. But is that enough to separate you from all the other homes that got tossed on the multiple listing service that day? You’ve visited sites like Trulia or Realtor.com… You know how fast you rip through those house photos. What is going to separate you from every other Victorian or Bungalow or Colonial on the market and on those sites?! You (really it is your agent’s job) need to find something in your home that stands out. It is my belief that every single home has something special to photographically showcase. 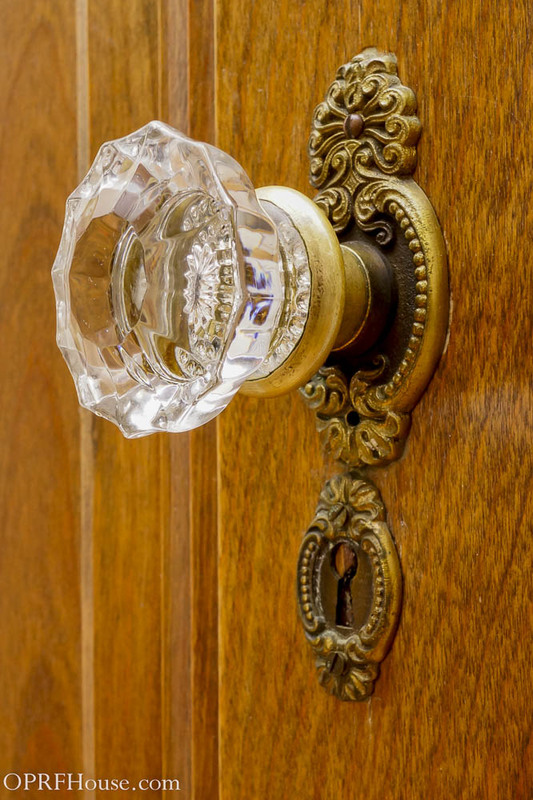 Take a look at the very top door knob photo. (Those of you who subscribe to this blog by email need to click the actual link to view the whole blog. Sorry, WordPress has no fix for this yet.) The one with all the very intricate details. This was the inside original knob for the homes main front door. It was tiny! Maybe an inch and a half diameter at most. But when I put this house on the market the clicks I tracked to that photo were unbelievable. Higher than any other. Original glass door knob in the colonial at 1140 Edmer, Oak Park. Everything starts with the multiple listing service. After some unspecified number of hours that data and all the photos that go with your home will get catapulted out to other websites like Zillow, Trulia, ChicagoTribune.com, Homes.com and more! !… (If your agent pays for that extra special marketing.) I preach over and over… “Everything needs to be perfect and completely ready for the moment the listing enters the multiple listing service. The MLS is the catalyst that starts the show… creates the hype… creates ‘the legend’… and ultimately brings the buyer or maybe… buyers. 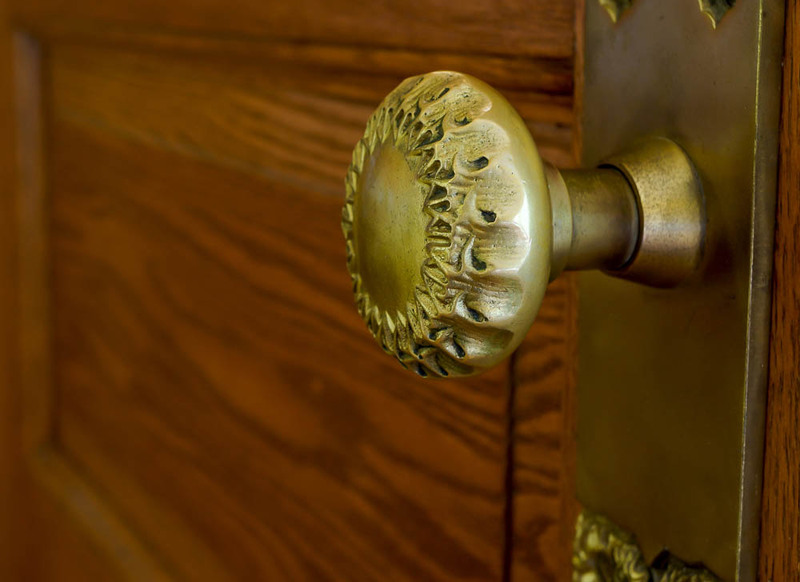 I like to use door knobs and simple hardware when I list a property. Knobs are easy to shoot as they are at an easy tripod level. 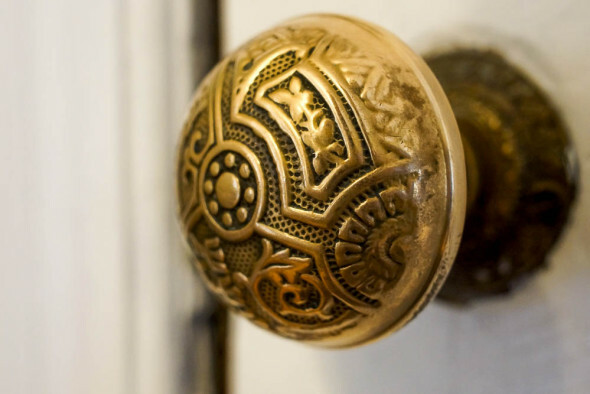 And I am not sure why but even in the most simple plain homes I have found beautiful intricate door knobs. I think that if a home has been altered over the years the door hardware is something that hardly ever gets replaced. Look at the above wooden door knob found only on the 2nd floor of an Oak Park grand Victorian. Builders often spent the money on precious metals like bronze and brass for the 1st floor where the guests would enter. 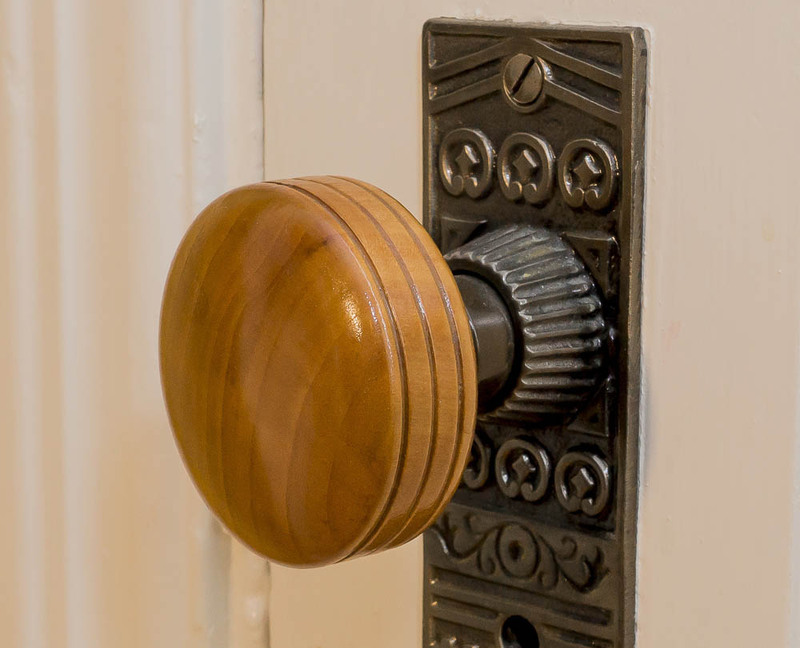 Look at the door knob plate behind the wood knob. This is some form of “pot metal” which was just a mixture of whatever metals the metal-smith or caster had available. It isn’t just door knobs that can be showcased. Get up close and personal with other details in the house. Above is a tile surround on a Victorian fireplace. This particular tile was most likely made by the American Encaustic Tiling Co. out of Zanesville, Ohio. (c.1891) (see TileHeritage.org) I rarely see these but when I do they are front and center in the home’s marketing. The photo shot needs to be up close and dramatic. Remember, try to be different and catch the eye of the buyer on the internet. “Click” optimization!! 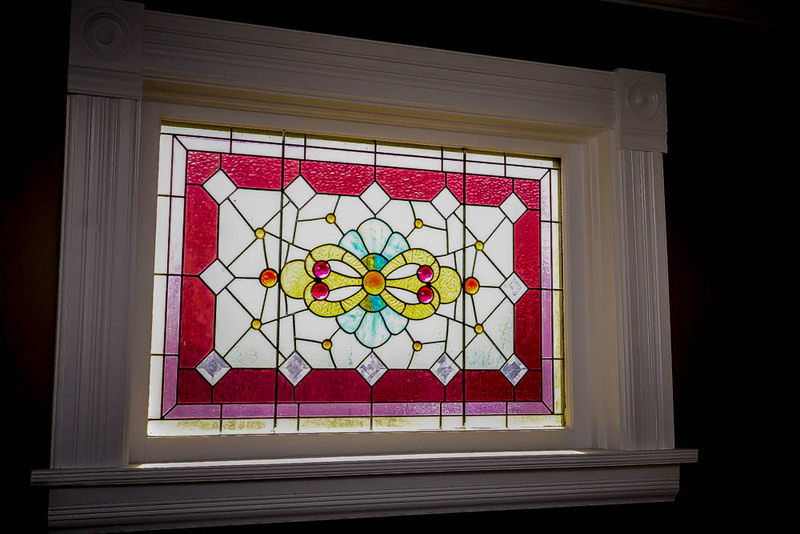 This art-glass window in a South Oak Park home on Kenilworth showed great. Art-glass windows can be difficult to shoot for even the most experienced enthusiast photographers. The bright outdoor sunlight behind the glass and a dark interior will require some post processing. Some homes are so full of details to shoot you don’t even know where to begin. This was the case for one of my favorite sales… 239 S. Grove, Oak Park. This Farmhouse Victorian was certainly not original on the outside with it’s years of stucco over the original clapboard but the inside had so much amazing woodwork and added detail. 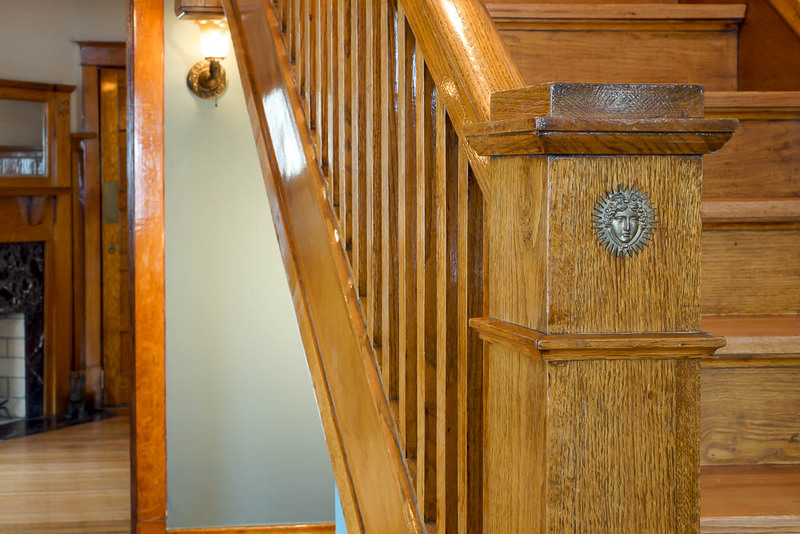 Even little stuff like this bronze sun face on the stair’s newel post. Remember, there is more to showcasing a home in this digital age than just a bunch of room photos. Get creative! There are details in your home you take for granted everyday. Details that some buyer is going to absolutely love. Stop. Look. Try to view these details as a more macro photograph on a website that is showcasing your home. Now experiment with the photography and post processing. Go get the attention of those buyers! It Is Inevitable, Mr. Anderson. 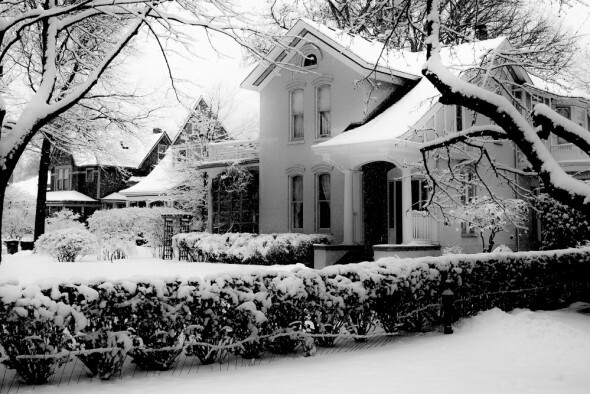 Winter In Oak Park… Just in case you forgot how awesome it looks. 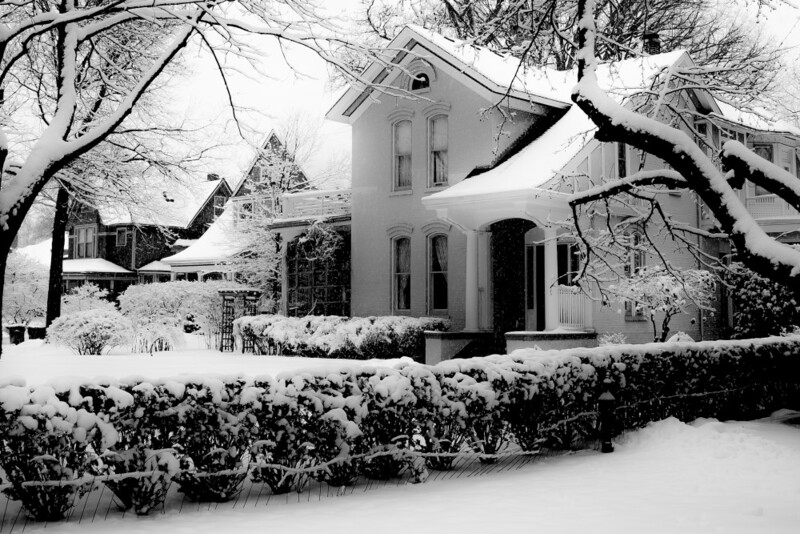 And although the snow is coming… the OPRF Spring Housing Market is right around the corner. Want to put your house on the market in 2014? Need to start thinking about that now because houses start coming on the market the day… I mean THE DAY… after the Superbowl. Your House Behind The Lens © 2013.